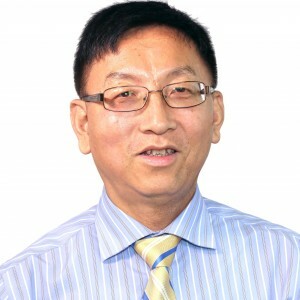 Dr. Zhihong Guo is an adult psychiatrist at Sheppard Pratt. He completed his residency at Jackson Memorial Hospital/University of Miami Miller School of Medicine. Dr. Guo attended Shanxi Medical University. Johnstone AL, O'Reilly JJ, Patel AJ, Guo Z, Andrade NS, Magistri M, Nathanson L, Esanov R, Miller BH, Turecki G, Brothers SP, Zeier Z, Wahlestedt C. (2018). EZH1 is an antipsychotic-sensitive epigenetic modulator of social and motivational behavior that is dysregulated in schizophrenia. Neurobiol Dis., 119:149-158. Ye C, Hu Z, Wu E, Yang X, Buford UJ, Guo Z, Saveanu RV. (2016). Two SNAP-25 genetic variants in the binding site of multiple microRNAs and susceptibility of ADHD: A meta-analysis. Journal of Psychiatric Research. Jin J, Albertz J, Guo Z, Peng Q, Rudow G, Troncoso JC, Ross CA, Duan W. (2013). Neuroprotective effects of PPAR-γ agonist rosiglitazone in N171-82Q mouse model of Huntington's disease. J Neurochem. 125(3):410-9. Guo Z, Rudow G, Pletnikova O, Codispoti KE, Orr BA, Crain BJ, Duan W, Margolis RL, Rosenblatt A, Ross CA, Troncoso JC. (2012). Striatal neuronal loss correlates with clinical motor impairment in Huntington's disease. Mov Disord, 27(11):1379-86.